• Sized to fit the spine of ring binders. 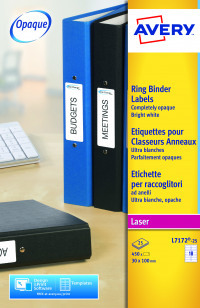 • Opaque BlockOut material hides text and labels - ideal for reusing folders. • Labels are made from FSC certified paper from responsibly managed forests. • Suitable for use with laser printers. The Avery brand is focused on allowing you to make the necessary changes to your current filing systems and as such, keep on top of your general maintenance. 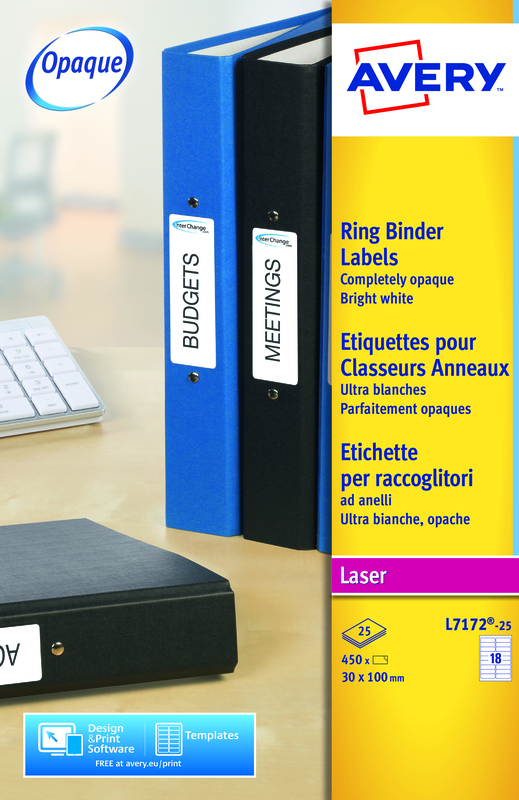 With items such as these handy filing stickers, such a task will become much simpler than you might have thought possible. Wonderfully adhesive and yet by the same token, easy to remove should you require to do so, these filing stickers have been formulated by a team which understands the importance of keeping on top of maintenance.